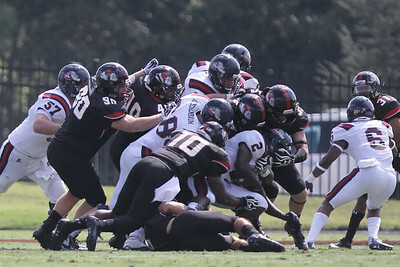 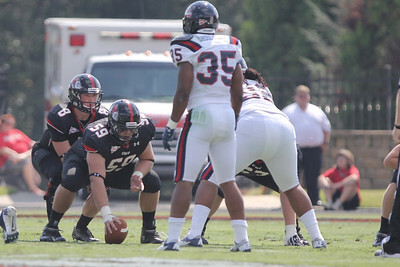 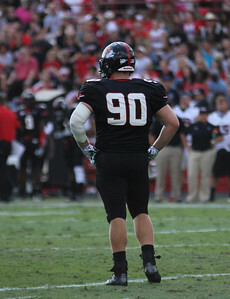 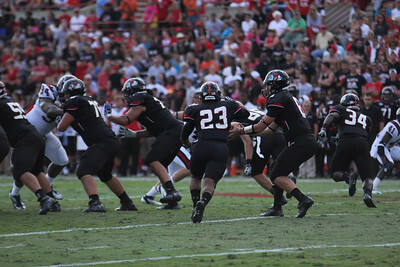 Gardner-Webb's defensive line prepares for Samford to hike the ball. 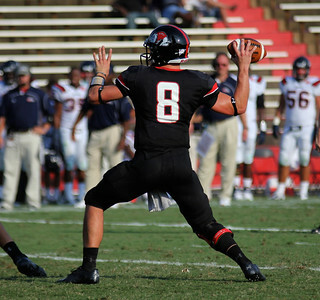 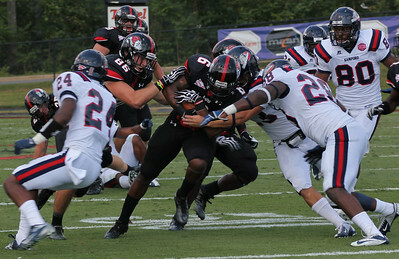 Gardner-Webb's running back, Kenny Little, powers through the Samford defense. 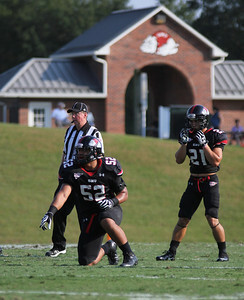 Kaitlynn Watts and Jessica Saltjeral cheer on the Runnin' Bulldogs. 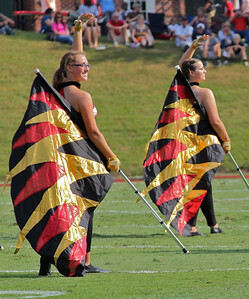 The colorguard perform at the halftime show. 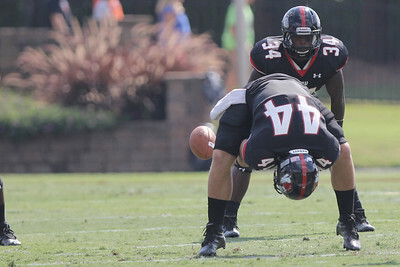 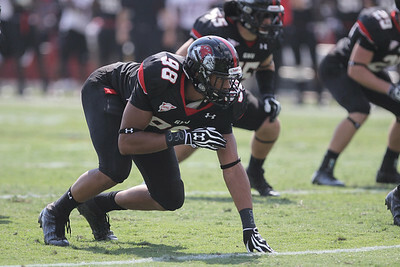 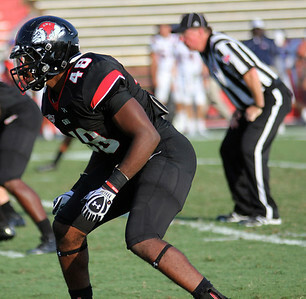 GWU's Line Backer 48, Azziz Higgins. 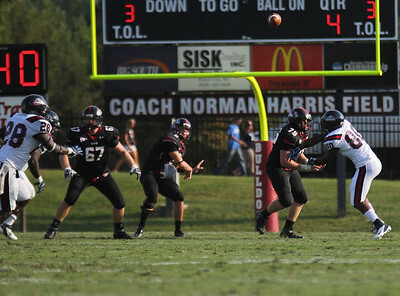 Bo Lindsey, 30, throws the ball into the end zone. 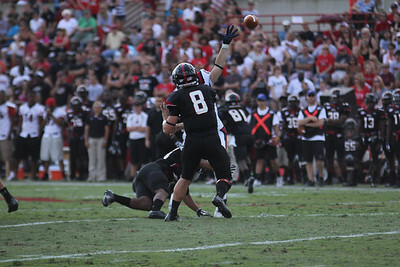 Lucas Beatty, 8, throws the ball for an attempted touchdown. 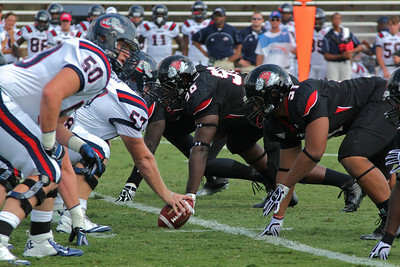 Lucas Beatty, 8 passes the ball off to a team mate. 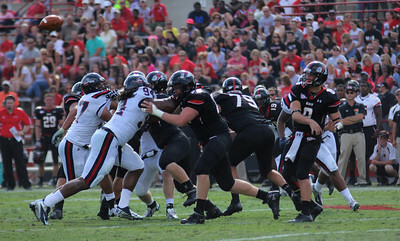 While Jamie Dunaway, 67 and David McConnell, 75 make blocks. 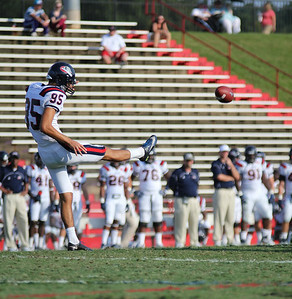 Samford's, 95, Greg Peranich punts the ball down the field. 52, Preston Pemasa, Defensive End. 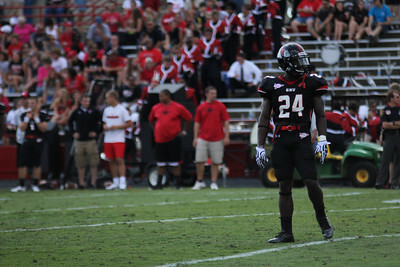 21, Gianni Olivas, Defensive Back. 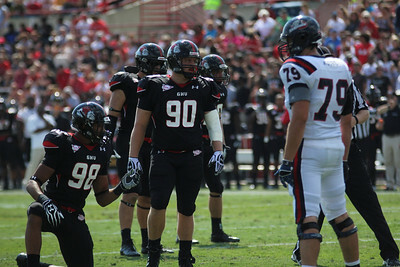 Lucas Beatty, 8 passes the ball off to a team mate. 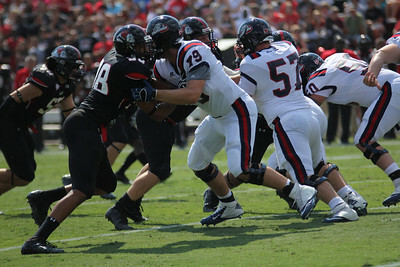 Lucas Beatty,8 passes the ball off to a team mate. 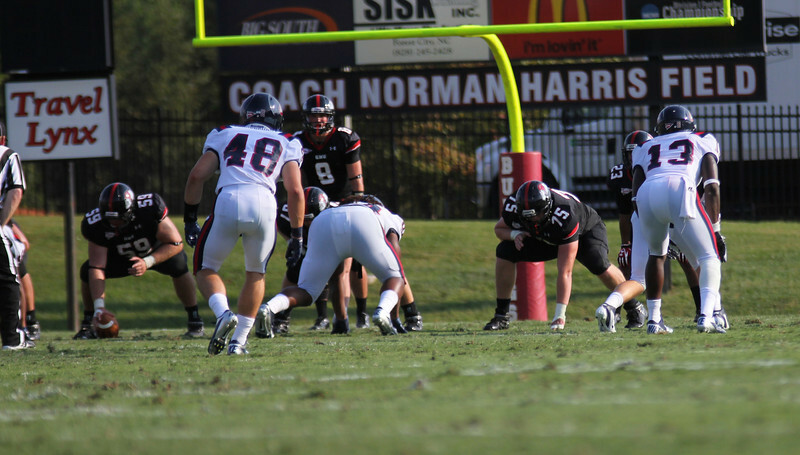 While the offensive line blocks Stamfords defensive line. 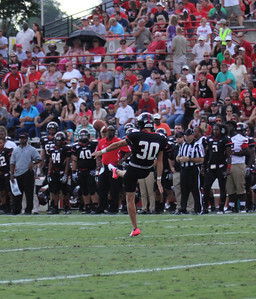 Bo Lindsey, 30 punts the ball down the field. 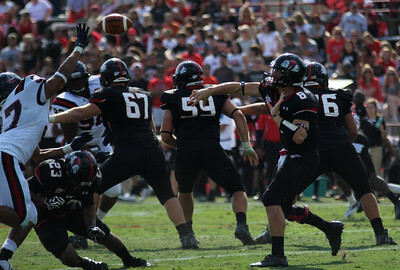 Lucas Beatty,8 passes the ball off to a team mate. 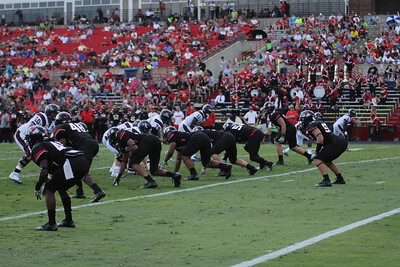 Lucas Beatty, 8 passes the ball off to 23, Juanne Blount for an attempted first down. 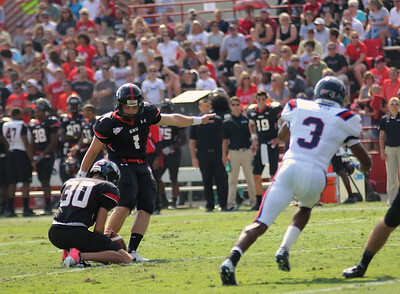 Trevor Austin, 1 makes an attmept at a field goal. 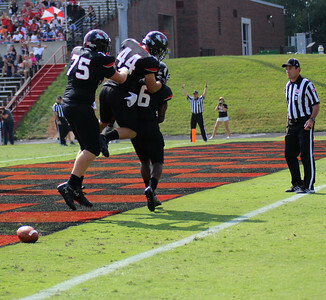 75, David McConnell 44, Hudson Smith and 6, Kenny Little celebrate a GWU touchdown. 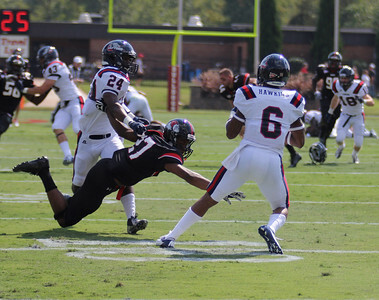 Gardner-Webbs Kenny Little makes a touch down for the dawgs. 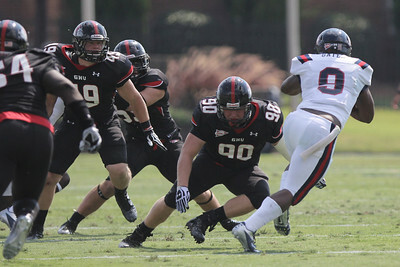 Gardner-Webbs Defensive line fights off Stamford. 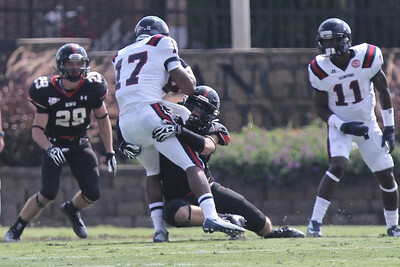 Jonathan Sherill makes an attempt to tacke Stamford's player.